In 2003, we were a few people in a small office, with high hopes and positive visions. Since then, we have made a commitment to always make our sincerest efforts and honest attempts to help applicants find the right job for them, and find the right people for our clients as well. After 14 years of continuous challenges, triumphs and setbacks, we stand proud as we have grown to become one of the leading service providers in the Manpower Management and Business Support services in the country. We cannot help but feel blessed when we look back at the journey of these significant and remarkable 14 years. 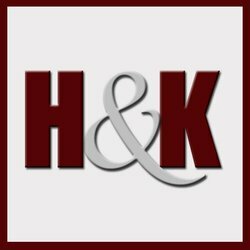 H&K has come through a lot of ups and downs in all these years but we are still thriving towards building up an image of our company and country both by delivering quality service and assistance to our clients and partners. So while it is real fun to look back, it is equally exciting to look forward, which matters the most.